Kick your morning oatmeal up a notch by adding all kinds of delicious flavors, textures and wholesome ingredients to it! 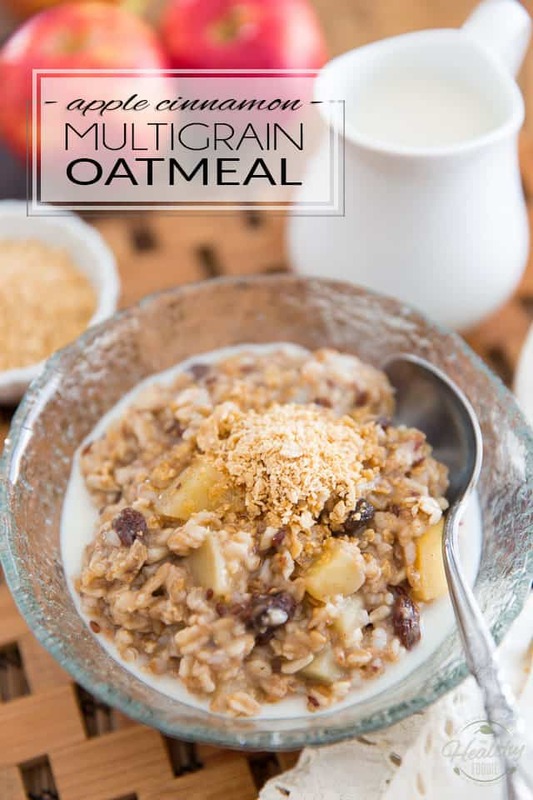 This Apple Cinnamon Multigrain Oatmeal not only tastes amazing, it also is satiating enough to provide all the energy needed to keep you feeling full until lunch. This tasty, dreamy, heavenly bowl of soul warming wholesome goodness has been my and my life partner’s favorite breakfast of late… We just can’t seem to get enough of it! I’ll usually make a big batch on Monday morning and then we try and have it last us all the way through to the end of the week, by alternating between this and our other regular breakfast options. But to be honest, when we have some of that delicious multigrain oatmeal in the fridge, all ready to be reheated in just minutes, we have a bit of a hard time settling for anything else. So it usually ends up lasting us only 3 to 4 days. What I’m trying to get at is, you might be looking at the recipe thinking “Oh my, there’s enough to feed an army here, I think I’ll halve the recipe” but really, maybe you should think again. 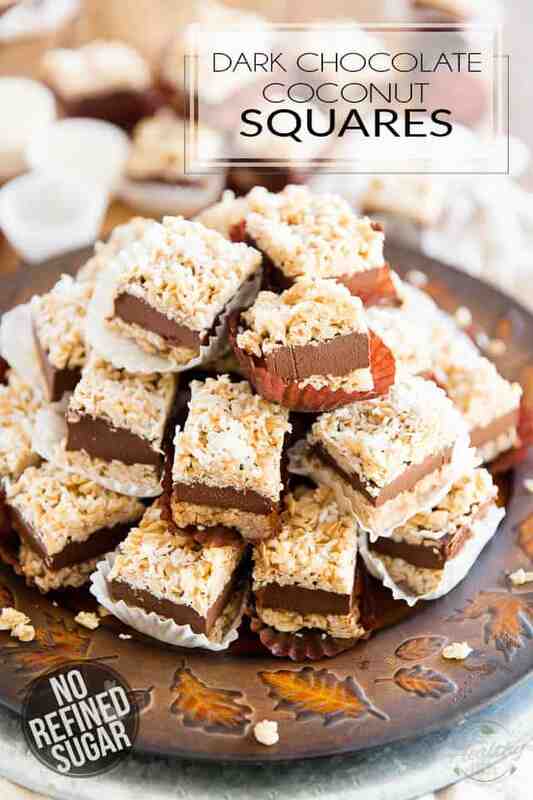 The recipe as written makes about 6 servings, 8 if you have a small appetite or if kids are included at the family table. Seeing as how this oatmeal takes about an hour to make, but reheats in just a few minutes, I think that even if you’re only feeding a few people, it’s totally worth your while to make a full batch and save the leftovers for another day. Plus, it will keep in the fridge for about a week, so really: Go all out and make the big batch! Cuz you know, on top of reheating super quickly, it’s also phenomenal in its cold state. I like to sometimes eat it as is, right out of the ice box, as a little afternoon snack. Another thing I really like to do is add some of it, cold, to my bowl of flaked cereal and granola. It adds a great soft and slightly chewy texture to it. I’m sure that you too, will discover tons of ways to enjoy yours… and you won’t regret making the large batch! The post Apple Cinnamon Multigrain Oatmeal appeared first on The Healthy Foodie.